Beautycounter was created in 2013 with one purpose in mind: TO GET SAFE PRODUCTS INTO THE HANDS OF EVERYONE. That sums up their whole business. The founders saw a major problem in the beauty and cosmetics market. There are over 80,000 chemicals on the market today, many of which don’t have safety data even though they are used in beauty and personal care products. Over the past 2 decades the EU has banned more than 1,300 chemicals used in product formulas for beauty and skincare products. The US has partially banned 11 to date. Thanks to the educated consumer and power of social media, independent brands like Beautycounter, have answered the call to create safe beauty and skincare products that we can trust. If you want to read more about their mission, check out their website. 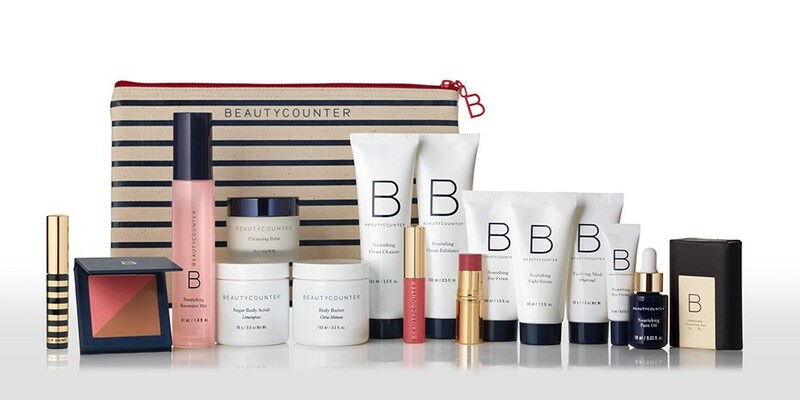 Traditionally if you wanted to purchase Beautycounter you would contact a beauty consultant. They would give you some personal information and recommendations about what products would best suit your skincare needs. Consultants also host parties so guests can try the products and know the texture, scents, etc. It’s always nice to be able to test products in person. Another way was to simply order the products online through their website. I linked my personal beauty consultant so feel free to contact her for more personal skincare information. However, starting September 12th for a limited time the collection will be available at TARGET! This collaboration is the first of its kind for Target. The large retailer is famous for it’s designer clothing collaborations that let everyone get a taste of runway fashion without the price tag. This will be the first time for the company to partner with a beauty brand. I want sent a few samples of the products to try to get an idea of the formulas and textures. The Nourishing line is good for moisturizing skin while the Rejuvenating line (formerly Countertime) is their anti-aging line. I can’t see immediate results of them yet, but I feel good knowing the products I’m using nourish my skin, are safe for absorption, and aren’t linked to cancer or hormone disruption. Remember, everything you put on your skin gets absorbed into your body, so it’s important to know what is in your skincare and makeup, and choose wisely. In time I know I will see the difference internally and externally. I love the fact that the ingredients are safe and I don’t have to worry about reading the labels. The night creams are super thick and moisturizing. My face feels plump and nourished in the morning. The day cream works great even under makeup and gives my skin a boost of moisture; nice substitute for a primer with active ingredients. Little to no fragrance-some of the products have a slight citrus smell, others are fragrance-free. I also tried the charcoal soap and face mask. I love active charcoal as an ingredient and it’s widely found in skincare products in Asia due to its ability to draw out toxins from the body. The face mask went on smooth and mess free! Also, Beautycounter has a full range of makeup products from lipsticks to foundation to bronzers, all available online. Their packaging is also recyclable, they use glass when they can, and it’s always cruelty free (some, not all products are vegan and you can read more about that here). If you are looking to try a quality skincare line that has amazing ingredients, is made in the US, and is proven effective, do yourself a favor and check out what this company is doing. Get to your Target in September and give them a try. If you score any goodies, or are an avid user already, tag me in your Instagram snapshots for a chance to be featured @7seasonsstyle. If you’re new to what I do, like my Facebook page to stay updated on everything beauty and fashion here in Seoul. Previous Post What Does that SPF PA+++ Lable REALLY Mean?